Meet this week’s business of the week: JKN Decor. 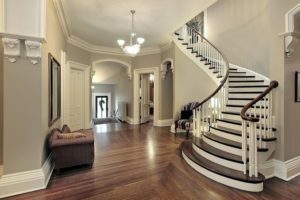 For the past 12 years, JKN Decor has specialized in transforming each client’s specific vision into reality. 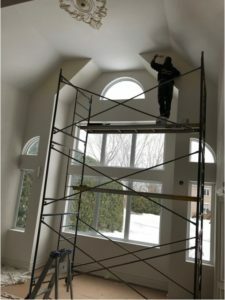 Servicing downtown Montreal and the West Island, owner and founder Jesse Notarangelo has gathered a team of talented, energetic painters who take each project to heart – no matter how big or small the job may be. 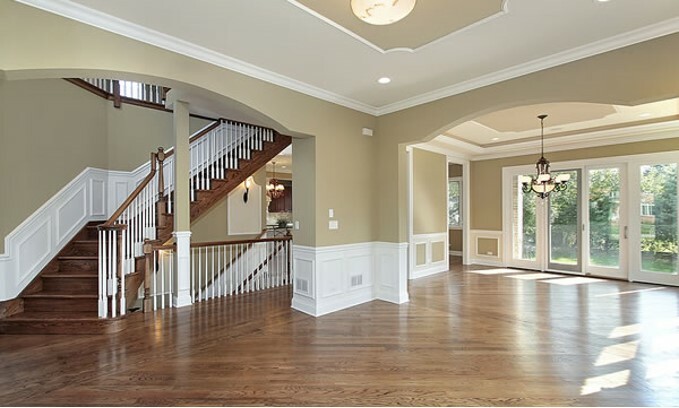 Fully insured, and using only top-quality brushes and paints, JKN Decor is a one-stop shop for all your painting needs. Be sure to head over to their website for more details and sample work. For this 22nd edition of Butterflies Go Free, come experience the poetry and learn about the science behind their splendours. Thousands of multicoloured butterflies will be flitting about in an exceptionally lush natural setting. See their shimmering colours up close and you’re sure to be dazzled by these winged marvels at Butterflies Go Free. Relive playoff fever through the ages and catch the true spirit of Quebec: the passion for hockey! Through this exhibition, see the evolution of the Cup, its history, and Lord Stanley. Come experience the love Dorval residents have for this sport. CORE Women in conjunction with the West Island Cancer Wellness Centre (WICWC) are pleased to invite you to our 3rd Spring into Wellness Fair, taking place at the Holiday Inn & Suites Pointe-Claire on Saturday, March 30th 2019 from 10 am to 5 pm. CORE Women is proud to have the opportunity to host this event to benefit both our own non-profit fitness & community work and the West Island Cancer Wellness Centre. The Wellness Fair is a full day event. Guests will be able to attend free of charge and have access to visit up to 40 exhibitors. Attendees will also be able to participate in workshops & conferences (for a small fee) throughout the day. Take a tractor and wagon ride (45 minutes) and learn about how Maple Syrup is produced and on your return enjoy one stick of Maple Taffy on snow. You can bring your own lunch and enjoy it in the “heated” picnic area. If not, warm soup and hot drinks available. This parent-child activity introduces youngsters to the joys of reading. 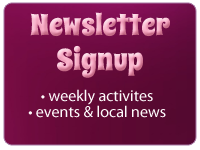 Fun and simple stories with rhymes and songs, followed by a coloring activity. Come out and try Maple syrup on the snow, Music and musical spoons. Shop for exclusive products at hundreds of exhibits! Sample delicious food and wine, get tips on healthy living, indulge in free mini makeovers, watch cooking demos, and find fun travel ideas! OVATION – SBDC’s new full length production promoting the benefits of the performing arts and raising funds for Overture With the Arts: a non-profit organization based in Montreal, offering education in music, dance, drama and vocal training. OWTA offers free and low-cost programs to enable young people to pursue their passion in the performing arts when they wouldn’t otherwise have the finances to afford classes. Come meet various local crafters and businesses. Grab the kids ( 6yrs and up) and head down to Ted’s Hobby Shop in the Pointe Claire Plaza for some Game Time Fun! This activity is aimed at kids 6 and up. This incredible evening for your children (3-10 years) is filled with a variety of fun games, rides and activities, and they won’t want the night to end! 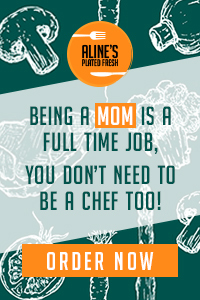 And don’t worry about snacks– we’ll take care of that too! Kids and adults alike will have a blast on Beaconsfield’s new Wibit Track. Test your balance, play with your friends and have a great time! Spring has Sprung! 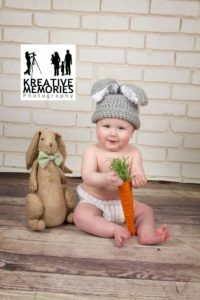 Kreative Memories will be hosting some Spring/ Easter photo sessions this month. Perfect time to update those family photos. 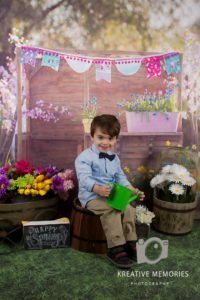 Super fun settings and props to celebrate spring and Easter arriving next month. A date has been set for March 30th. Other dates and times available as well. Contact Tina to book your session today! After Easter, is Mother’s day! 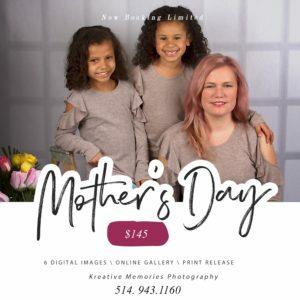 Give mom the best gift- the gift of memories. 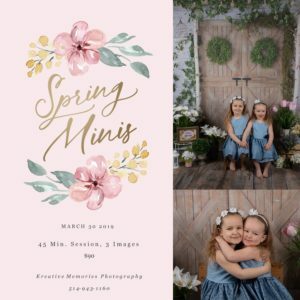 Book a family photo session for mom and grandma. They will be so happy. Spaces now available for April 27th. Bring Mom, grandma, aunts. 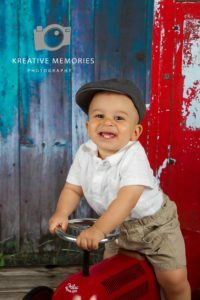 Plan a nice big grandkids portrait as a beautiful gift that grandma will cherish forever. Book your session today!! We have a fantastic deal for all our followers. 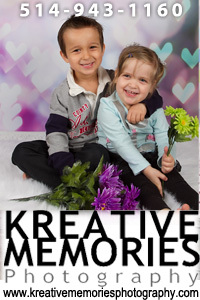 It’s time to update those family photos with Kreative Memories Photography. 30mins session in studio for 85$ 4 digital images included of your choice with the option to purchase more. Session must take place between March 23, 2019 and April 18th, 2019 . 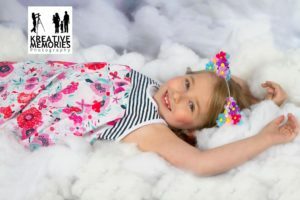 This promo does not apply to newborn sessions, easter sessions or first birthday cake smash sessions. 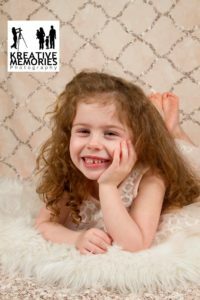 To book your session, contact Tina at info@kreativememoriesphotography.com or 514-943-1160.